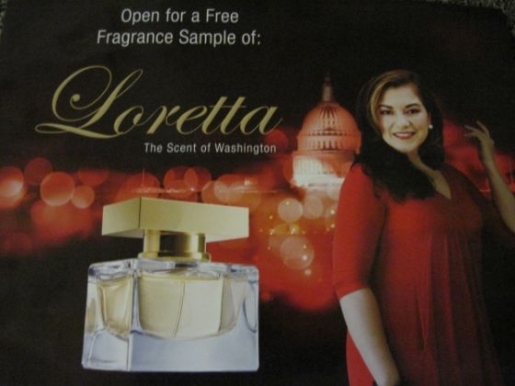 It’s been called, “the stench of Washington,” but long-time Congresswoman Loretta Sanchez says the bad smell is in bad taste. In tightly-contested Santa Ana, California, incumbent Democrat Loretta Sanchez is squaring off against her first major challenge since winning the seat in 1996 in Republican Van Tran, and Tran is taking the gloves off. Tran’s most recent attack ad is a scratch-and-sniff flier that smells like garbage. Talk about your genius ideas. The scratch-and-sniff card is the idea of Axiom Strategies, a professional campaign company. The company also rolled out a similar flier in the New York Governor’s race for Republican Carl Paladino. The ad is designed to mimic a fragrance ad, right down the the fonts used within the document. It’s sheer, stinky brilliance.